St. Joseph, Mich. — Another racist injustice has been committed. Here on Dec. 14, Berrien County Judge Sterling Schrock sentenced the Rev. Edward Pinkney, leader of the Black Autonomy Network Community Organization, to 30 to 120 months after a trial by an all-white jury. The five felony charges stemmed from a successful recall petition drive against Benton Harbor Mayor James Hightower, who is perceived as a tool of the Whirlpool Corp. and the political power structure in the area. Pinkney has been a longtime activist in Benton Harbor, and his work in the state of Michigan has drawn national attention. This is the second time in seven years that the BANCO leader has been convicted on charges related to efforts to hold local officials accountable to the people. Prosecutor Michael Sepic requested a 42-month sentence based on previous convictions extending back to the 1980s. 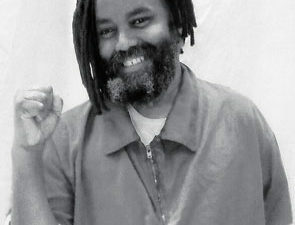 Attorney Tat Parish, who defended Pinkney during the highly politicized trial and sentencing, requested that instead the judge exercise discretion and sentence the activist to probation. Over 130 people sent letters to Judge Schrock requesting that he set aside the verdict and release Pinkney. Although the jurist acknowledged the letters, he also sought to minimize their significance. Activists from various cities were outraged at what they saw as a total travesty of justice carried out by the local courts. They pointed out that police who have been videotaped killing African Americans were allowed to go free, while Pinkney was convicted and sentenced to prison without any material evidence. The prosecution presented no eyewitness testimony to implicate the Berrien County activist in the alleged crimes committed. Even though the prosecutor and judge admitted the evidence was circumstantial, they could present no clear-cut motivation for Pinkney to change the dates on the recall petitions. No handwriting experts could testify that Pinkney had changed the dates on the petitions. A series of witnesses called by the prosecution stated unequivocally that they circulated the recall petitions based upon their desire to replace Mayor Hightower, who had opposed a tax measure that would use corporate resources for the rehabilitation of Benton Harbor in the interests of its poorest residents. The courtroom was full for the sentencing hearing. People lined the hallway during the proceedings, which lasted for over two hours. Armed white Berrien County sheriff deputies stood the entire time, guarding the doors. Later in the hearing, one of the officers moved to stand behind the prosecutor. Two other unidentified white men sat next to the prosecutor during the proceedings. After the conclusion of the hearing, Pinkney was placed in handcuffs and taken to detention. People had traveled to St. Joseph from around the United States. Ralph Poynter, of the Lynne Stewart Defense Committee based in New York City, was on hand for the sentencing. Delegations were also at the courthouse from Berrien County, Detroit, Ann Arbor and East Lansing in Michigan as well as Chicago and Nebraska. He later pointed to prosecutor Sepic, saying, “You know I did not do anything illegal.” Prior to sentencing, Judge Schrock lectured Rev. Pinkney and said his sentence was designed to send a message. Although the judge said that people have a right to seek the recall of a public official, he then sentenced the community leader to a lengthy prison term. Later the judge accused Pinkney of misrepresenting the political situation in Berrien County. The area has an extensive history of racism and police repression. Benton Harbor’s African-American community faces conditions of poverty, unemployment and police brutality. 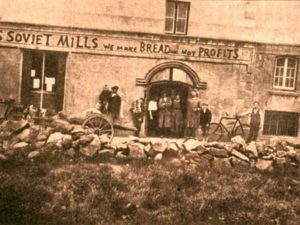 BANCO’s organizing efforts have exposed the mad drive of corporate entities in the county to maximize profits at the expense of the most oppressed and exploited. The ominous atmosphere of racism and criminal justice bias permeated the preliminary hearings, the trial and the sentencing phase. In the parking area supporters held a prayer vigil, an impromptu press conference and a demonstration. People began to chant, “Free Rev. Pinkney.” Soon enough police cars began arriving. Security personnel from inside the courthouse came out and told protesters they would have to clear the area where cars drive into the county complex to park. City and state police vehicles were deployed. Activists and defenders of Pinkney placed the sentencing in the broader context of the racist attacks against African Americans from Ferguson, Mo., and New York City all the way to California. Since the killing of Michael Brown on Aug. 9, the U.S. has been hit by a continuous wave of anti-racist demonstrations and rebellions. Since late November and early December, these manifestations have taken on an even greater mass character. Protesters have drawn the links among police repression, judicial misconduct, the grand jury system and corporate rule over U.S. cities and suburbs. These demonstrations have closed down streets, shopping malls, highways and low-wage employment centers. The blatant acts of the capitalist corporations and their agents in government are causing greater political consciousness and impatience among African Americans and many people of goodwill. In Berrien County and throughout the state of Michigan, majority African-American municipalities, including the largest city, Detroit, have been taken over by politicians operating on behalf of the banks and multinational firms. They have terminated fundamental voting rights and due process guarantees. These efforts by the racist power structures in cities, states and at the federal level are taking place without a massive response from the oppressed and working people. 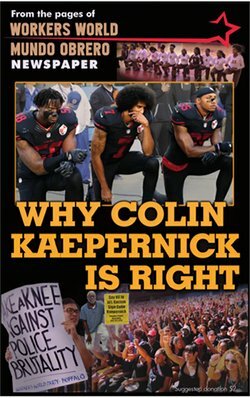 But the anti-police brutality demonstrations, which have drawn hundreds of thousands into the streets across the U.S., will increase in number and militancy. New alliances and organizations will emerge to provide a consistent and ideologically directed focus to the burgeoning struggle. 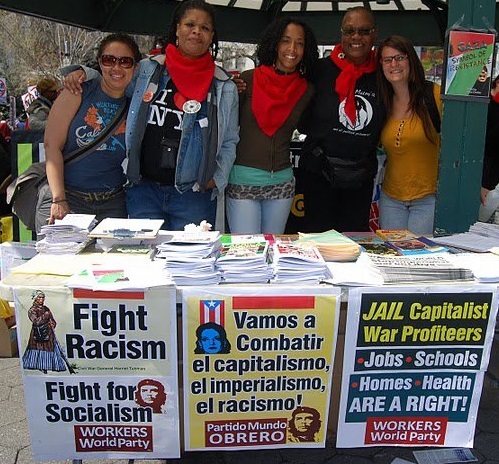 The racist capitalist system can no longer hide from the penetrating analysis that is coming from the growing mass movement against racism and capitalist exploitation. Developments in Berrien County serve to illustrate the character of the current crisis and the willingness of people to resist this renewed onslaught by the ruling class.